Dr. Khurana graduated from the University of Waterloo with a Bachelor of Science specializing in Kinesiology (the science of human movement). He then went on to study optometry at the State University of New York located in Manhattan, graduating in May 2000. Dr. Khurana has multiple clinical experiences in both New York state and Southern Ontario, including the Bronx-Lebanon Medical Center (Bronx, NY) and Northport Veterans Hospital (Long Island, NY). 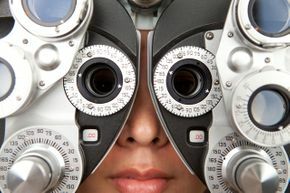 Dr. Khurana's interests in optometry include the treatment and management of ocular disease, proper development of children's vision, computer vision and laser vision co-management. Dr. Amy Wong attended the University of Waterloo and graduated with a degree in Honours Bachelor of Science in 2007, and then continued to complete her Doctor of Optometry degree and graduated on the Dean's Honours List in 2011. During her four years of optometric studies, Dr. Wong travelled to many places for her various internships including the Veterans Affairs Medical Center in Lexington, KY, a low-vision eye clinic in Toronto and a private practice in North York. Dr. Wong has also travelled on a mission trip to Kenya to provide needed eye care to an orphanage. She is fluent in English and Cantonese. During her leisure time, she loves playing and listening to music as well as staying active with running and yoga.